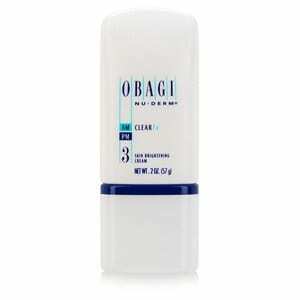 Obagi Nu-Derm Clear Fx 2 oz. We love Obagi Nu-Derm Clear Fx because it provides a hydroquinone-free treatment for those seeking a whitening cream without bleach. Formulated with vitamins, antioxidants and natural extracts, this facial lotion addresses hyperpigmentation such as melasma, dark spots and even the ruddy aftermath of breakouts while clarifying and evening your overall appearance. 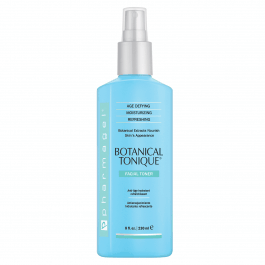 Botanical Tonique’s moisturizing properties help keep skin hydrated. 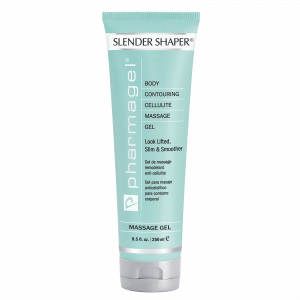 Additionally, an infusion of botanical extracts nourishes and energizes skin to make it feel invigorated. These extracts help skin appear firmer and pores look tighter and more refined. Skin will feel refreshed and recharged. Men may use Botanical Tonique after shaving to refresh skin. Natural polishing grains from walnuts combine with the revitalizing benefits of papaya enzymes to gently exfoliate and help skin appear refreshed. 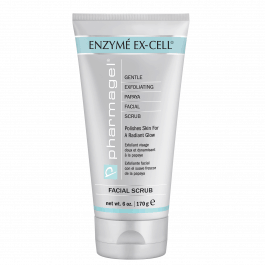 Use of Enzyme Ex-Cell helps pores appear smaller and helps skin appear brighter and smoother, leaving skin with a radiant glow. 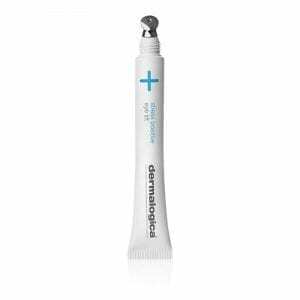 Allantoin refreshes exfoliated skin so that even sensitive skin will benefit from regular use. Excellent pre-shave treatment for a smooth, close shave. 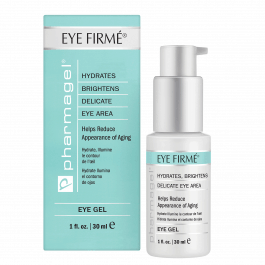 Pharmagel Eye Firmé helps reduce the appearance of wrinkles and makes skin look brighter and smoother by nourishing the delicate eye area tissue. This enriched formulation of Vitamins C, E and A helps to hydrate the skin around the eyes; its unique sheer texture provides moisture to the fragile eye area. 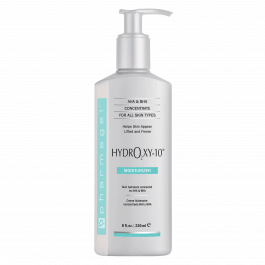 Hydra Cleanse is an exceptionally mild botanical-based cream cleanser that is formulated with a combination of Oat Extract and Panthenol to thoroughly cleanse skin without stripping away essential moisture. Aloe Vera deeply nourishes and moisturizes skin, helping complexions to appear calm with a fresh, radiant glow. This product is water rinseable and pH balanced. HydrOxy-10 contains both Glycolic Acid (AHA) and Salicylic Acid (BHA). BHA works as an exfoliator to help skin look rejuvenated. Glycolic Acid offers gentle, natural exfoliation. HydrO2xy-10 also contains stabilized oxygen for rapid absorption to help skin appear revitalized, firmed, and rejuvenated. The appearance of wrinkles and fine lines are diminished. 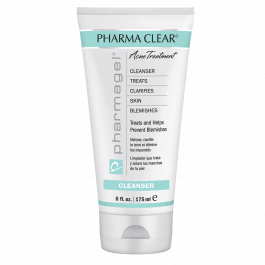 Pharmagel Pharma Clear® Acne Treatment Cleanser cleansing agents help wash away oils, residue, and excess sebum on the skin and hair follicle as it cleanses pores. 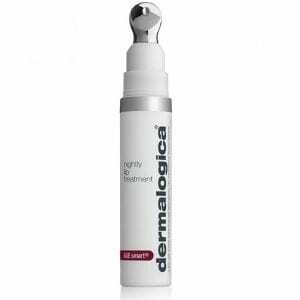 Powerful salicylic acid targets acne and helps stop new blemishes from forming. It washes away dead skin cells and encourages healthier looking skin as it also helps to reduce the appearance of redness. 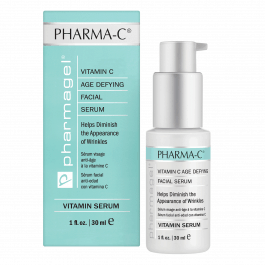 Vitamin C helps reduce the appearance of aging skin and increases the appearance of skin’s tone and elasticity. Pharmagel’s Pharma-C Serum® contains Magnesium Ascorbyl Phosphate, a stabilized form of Vitamin C. This ingredient rapidly absorbs into the skin and is vital to keeping skin appearing youthful and supple. Fragrance free with botanical-based ingredients and formulated without parabens, this product can be used safely around the eyes. This extraordinary formula contains mineral-rich algae, Alpha Lipoic Acid, DMAE and high-potency herbal ingredients. Flavonol-rich red clover along with green tea and cocoa stimulate the skin to help smooth the appearance of body contours. Reishi and mannetake mushroom extracts help improve skin’s appearance.